I wish I could travel to London to see the second production of Philip Pullman's His Dark Materials. This site has wonderful behind-the-scenes information about the play. 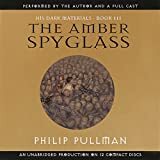 If you are a fan of the books The Golden Compass, The Subtle Knife, and The Amber Spyglass, you will want to go through this site about the production.